Combining a love of art and music led husband-and-wife team Tony Williams and Robin Lee Berry on the path from artists to owners of Freshwater Art Gallery. But when he finished one and clients informed him they were no longer interested, the question was what to do with it. “We had to put it somewhere,” says Robin, who had come into the relationship and Tony’s work with a similar bent and plenty of power tools. “We took a trip around Lake Michigan looking for a venue to sell it,” Robin says. They came back to Petoskey and staged a window in Gaslight Village. When the store moved, they moved on, finding a good display space at Traverse Bay Woolen Company. Too good, in fact. “We couldn’t replace it as fast they’d sell it,” Robin says. That’s when they started scouting for a building they could make into a gallery to feature their furniture as well as works by other artists. The two were having dinner in Boyne City and looked across the street at an abandoned building which had housed a hardware store decades before. “It was closed for 36 years,” Robin says. It had been condemned, the roof had caved in, and they saw the grandsons of the owner moving furniture around. “Tony said, ‘I’ll be right back,’” Robin recalls. He walked across the street and returned with a handshake agreement to open a storefront. Freshwater Art Gallery debuted July 4, 2009. And music. Don’t forget the music, as Tony says that has enabled the gallery to stay open. Once a month, the floor is cleared, chairs are brought in, and touring regional and national artists appear on the stage in the rear of the store. Many are Americana or folk-based, such as Chris Smither and Blackie and the Rodeo Kings. Though the gallery has also showcased rockers like Willie Nile, Albert Lee, and bluesy R&B vocalist Thornetta Davis. He says the gallery’s reputation continues to grow in the music community, to the point artists are contacting them. 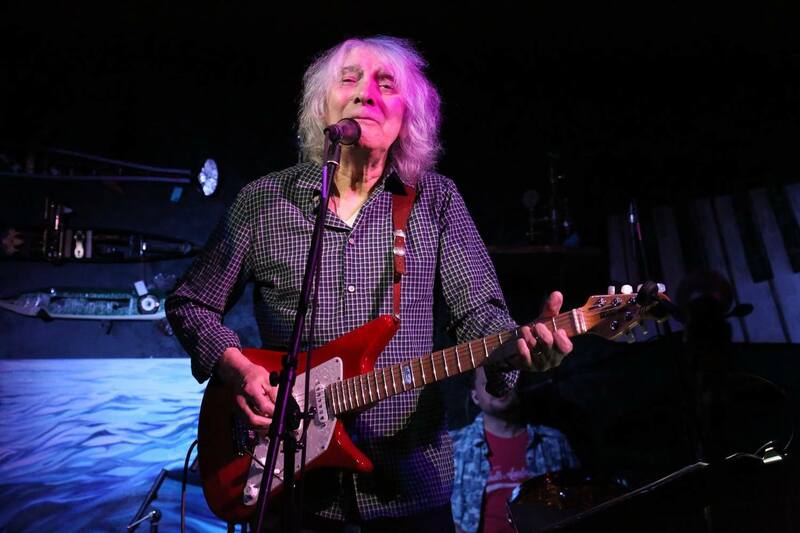 Peter Asher’s management called the gallery to ask if Asher and Jeremy Clyde (Chad and Jeremy) could perform there, as did Albert Lee. Tony says it’s a long way from when he and Robin and were struggling to get anyone to play. 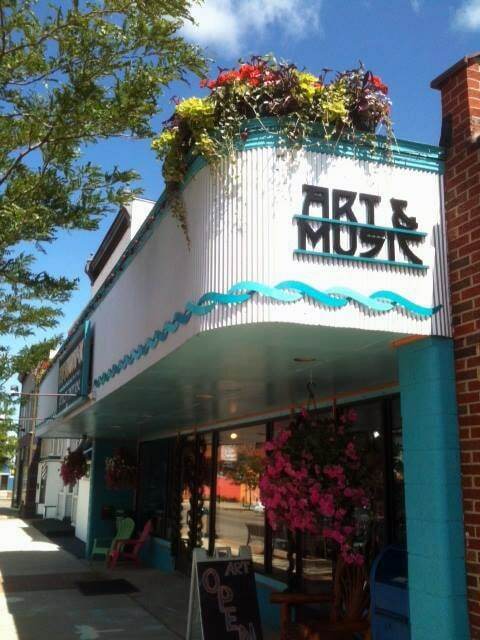 Freshwater Gallery is located at 217 S. Lake Street in Boyne City. It is open Wednesday–Saturday from 11 a.m. to 6 p.m. and by appointment—call 231.582.2588. The next concert is Willie Porter on December 29, with shows by Leo Kottke, Melanie and a return by Albert Lee pending. Visit Freshwater Art Gallery’s website for more information.